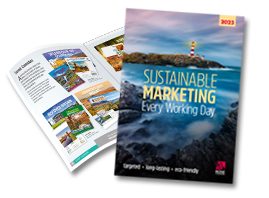 We take our responsibility for being environmentally aware very seriously, and we undertake a number of initiatives to reassure our customers that the calendars they are purchasing are environmentally friendly. All of our pictorial and commercial wall calendars are produced using paper from sustainable sources. This means the mills we purchase the paper from are FSC (Forest Stewardship Council) certified and encourage management of forestry resources in an environmentally responsible, socially beneficial and economically viable way. Recycling the calendar after its use is just as important as using sustainably sourced materials. Every pictorial calendar includes recycling instructions, shown on the reverse of the December leaf, which we hope will encourage all of our customers to recycle them so the paper may be re-used again.